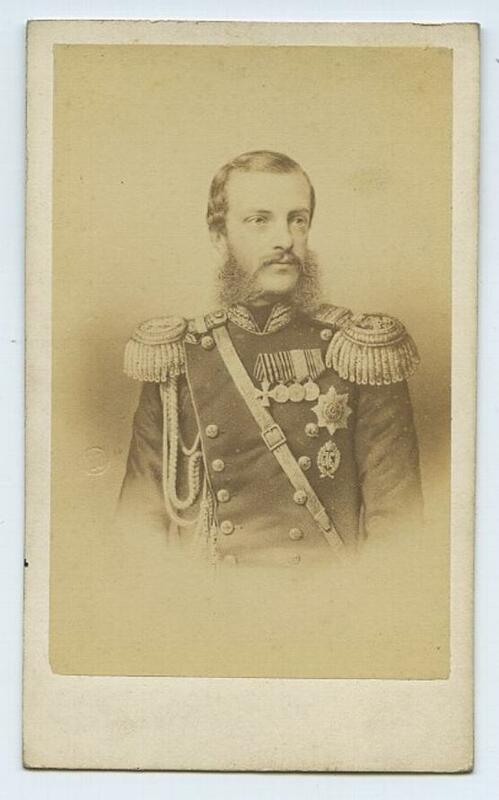 This is a cdv of Grand Duke Michael Nikolaevich of Russia born in 1832 who was the fourth son and seventh child of Tsar Nicholas I of Russia and Charlotte of Prussia. In 1857 he married Princess Cecily of Baden, daughter of Leopold, Grand Duke of Baden and Sophie of Sweden. He served for 20 years as the Governor General of Caucasia, being seated in Tbilisi. In the course of his life, four members of his family ruled as Emperors of Russia: his father, Nicholas I; his brother, Alexander II; his nephew, Alexander III; and his grand-nephew, Nicholas II. He served all of them loyally. He died in Cannes, France, on 18 December 1909. 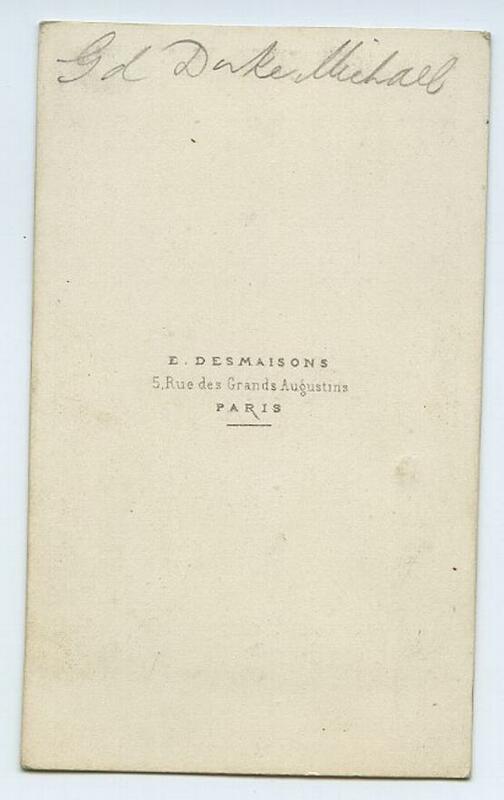 It was taken by Desmaisons of Paris and measures 4 x 2 ½ inches (103 x 63mm). Good condition.